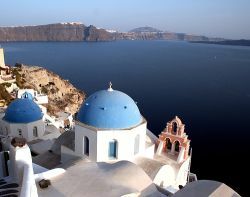 Want to know why Greece is noted as one of the most popular countries for cheap holidays? Well maybe because of its sunny weather during the summertime or perhaps it could be its picturesque beaches and a history that is worth hearing. Located in Southern European, Greece has a variety of cultures and colours of a people that hardly anyone on holiday would get homesick. Greece was the first venue for the Olympics and so sporting fans around the globe are grateful to Greece for this always-exciting series of competitions. Also, quite a few have commented on the countrys eco-tourism. The country offers a variety of caves to the beautiful waterfalls, and sand dunes to natural monument to match every tourists taste. Greece is also the home to several museums that range from those on archaeology, to Greek Art, Musical and there is even a natural history and Naval museum to explore.